I am At Your Service!!! Ridgecrest Real Estate – Welcome Home! Come home to breathtaking desert beauty, hometown warmth and more than 300 days of sunshine – come home to Ridgecrest! 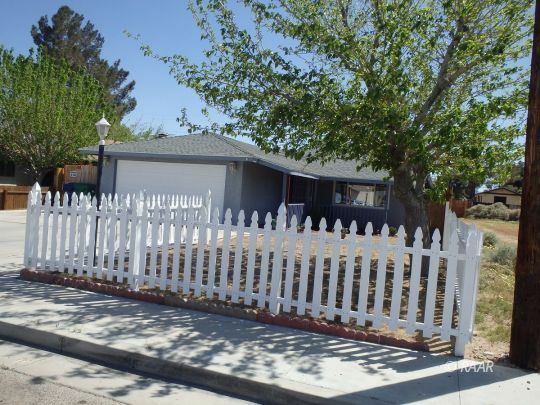 If you’re planning to purchase or sell Ridgecrest or Inyokern properties, you can count on my experience and expertise to provide you with all the advice and assistance you need. With over 29 years of experience in Ridgecrest real estate and as an Indian Wells Valley Realtor, I know how vital it is finding the right home at the right price. Real estate transactions involve making some of the most crucial, far-reaching decisions in your life and my goal is to make sure that you have all the information you need. We transferred to Ridgecrest as a Marine Corps family over thirty years ago and I’ve come to know and love the community. As a family we have enjoyed the nearby recreational areas of Kernville, Kennedy Meadows, Fossil Falls, Mt. Whitney, Lake Isabella, Mammoth (great skiing!! ), Death Valley, Tehachapi, and the high Sierras for hiking, fishing & camping!! The Sierra Sands Unified School District, where our 3 children received a superior education, has achieved high scholastic ratings in the state. My name is Ronnie Corley and I am a full time Associate Broker at Coldwell Banker Best Realty. I keep myself up-to-date on relevant market information while utilizing the most effective marketing campaigns. I have earned such designations as Graduate Realtors' Institute (GRI), Certified New Home Specialist (CNHS), Certified Distressed Property Expert (CDPE), Certified Agent for Real Estate Investors (CARI) Certified Residential Specialist (CRS). For the past 13 years I have been one of the top residential agents in Ridgecrest! Needless to say, I love my job!! For shopping, we currently have Sears Home Town Store, Home Depot, Marshall's, Famous Footwear, Big 5 Sporting Goods, Sally's Beauty Supply, Joann Fabrics, Tractor Supply Co, Harbor Freight Tools, Albertson's, Stater Bros, Rite Aid, Walgreens and many specialty shops. Our revitalized historic downtown district includes a vintage USO building. Walmart built a Super Center in our town in 2016! Our wonderful town is growing! Located in a sunny valley surrounded by four mountain ranges, Ridgecrest is where you’ll find the China Lake Naval Air Weapons Station and more stunning vistas than you can imagine. If you are seeking employment at the Cerro Coso Community College, Coso Geothermal Plant, Inyokern Airport, Searles Valley Minerals, NavAir, Briggs Mine, Ace Cogeneration or the China Lake Naval Weapons Center, let me help you find an investment you can live in while you are here!! Please browse through my website and contact me to find out more about homes in Ridgecrest, Inyokern and the Indian Wells Valley.